The launch of the tenth edition of the annual cultural festival of al-Aman. The continuation of the workshops on literacy strategies. 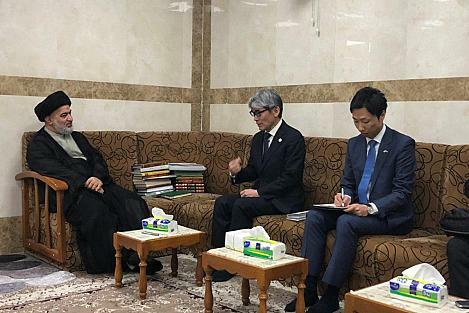 The Senior Official of the al-Abbas's (p) Holy Shrine meets the Japanese Ambassador. 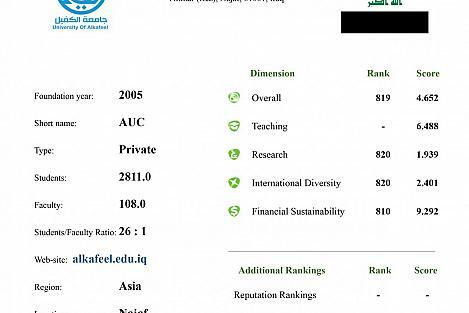 Al-Kafeel University is ranked 19 on the list of the Iraqi public and private universities. To protect our children intellectually and morally: The Supreme Religious Authority reminds Iraqis of their sacrifices and historical victory over the ISIL gangs. 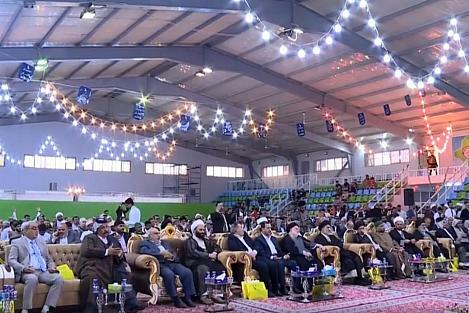 The Supreme Religious Authority recalled its historical Fatwa that protected the land and sanctities of Iraq, which anniversary coincides with these days, stressing that the commemoration of this anniversary at the holy shrine of Imam al-Hussayn (peace be upon him) represented an appreciation and thanks to those who answered positively the call. The examples given by these heroes represent a practical experience of good education, and everyone; whether people or government or organizations must not forget the blood shed on this land for its honor. We have to strive to document them. In the name of God, the Most Gracious, the Most Merciful, my brothers and sisters, I would like to talk today about the necessity of having the general fundamentals of proper social education. First: it is important to instill self-confidence in people from childhood until youth, for people have potentials and talents they need to use to explore the secrets of life, and such people should not be disappointed due to failing to do a certain thing or by their environment. If this self-confidence is generalized, we will have a group of people who trust themselves, and the circle will expand until we have a society that trust itself and its capabilities. And thus we can have a solid ground for our future generations. Second: reinforcing ambition and motivation, as this means that the person would not be lazy, as he/she is motivated to reach the goal, which is important especially for the youth. Instilling self-confidence and motivation strengthen the patriotism, which is an innate characteristic of people. If a person is raised on patriotism, he/she will be keen to drive away any harm from their country and bring goodness to it. And also if a patriotic person occupies an administrative, political, economic, or social position, they will take care of their country and not need a lot of directives to do their job. A patriotic does not need advice to tell him how dangerous bribery is, for their love for their country prevents them from accepting a bribe before religion does. Therefore, we are used to say that this is an educated person, which means that this person know its limits and strive to respect others. Third: seeking to build the country is one of the fundamentals of proper social education, and Iraq has young people with great potential. And such young people have a great deal of inventions that benefit the country, adding that such type of social education indicates that people can still invent under harsh circumstances — these people should be taken care of and sponsored by the authorities concerned. In such days, five years ago, in this holy place, on the 14th Sha'ban, the blessed fatwa was issued by the supreme religious authority for the purpose of fighting the terrorist ISIL gangs. I say: There are many tribulations that can affect the country, whether economic, social or technological problems, while the hardest ones are those intending to end it and harm everything in it. The real test appears when the country is exposed to similar problem we experienced previously. This experience is the pride of all those heroes who fought, and history will not forget them provided that you document it yourselves. They were a civilizational phenomenon that enjoyed courage, bravery, patriotism and dignity. They defended their country in the best way possible in the modern era, with the lack of means and resources within a kind of chaos, but nothing stopped them to rush like a galloping torrent to stop what is called ISIL. These young men who were raised in this land, should not be forgotten along with those who urged them from parents, fathers who educated well and mothers who fed them pure milk so they can support their homeland in this crisis. All thanks to them. We, people, government and organizations, have to never forget the blood that has been shed on this land to save its honor, we have to always strive to document their efforts, as when the supreme religious authority issued its fatwa, the concerned authorities have not been able to control the large numbers that answered the call on the spot. In this holy place at the shrine of the Master of martyrs (peace be upon him), we stand in appreciation and thank to them, as mentioned by the supreme religious authority that described using the best words: "Thus, the victory is from you, for you and to you. So congratulations to you and congratulations to your people to have you. Blessed are those who fought and blessed are those mothers who educated you. You are our pride and honor face to all other nations." I ask the Almighty God in this blessed day to grant the martyrs His vast mercy, to bestow upon our country pride and dignity for the sake of the priceless shed blood. We pray Him to give success to all for all that is good and bless all good efforts. And, the latest of our prayers is; praise be to Allah, Lord of the Worlds, and Prayers and Allah's Peace be upon Mohammad and his pure and virtuous lineage. We carry your messages and put them wholeheartedly at the sanctuary of Aba al-Fadl al-Abbas (peace be upon him).